Brady Beck was born in West Lafayette, IN. He moved with his family to Raleigh, NC in 1986. He earned a B.S. in Wildlife Science from North Carolina State University in 1992. Since then he has worked as a biologist for several conservation groups in the Sandhills. He currently works on the Sandhills Game Land for the NC Wildlife Resources Commission. His photography interests sprouted from his love of the natural world. 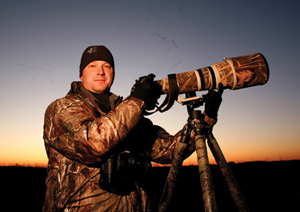 His images have been published in Wildlife in North Carolina, The Nature Conservancy's North Carolina Afield, Nature Conservancy Magazine, Snow's Cut Monthly, as well as several scientific journals featuring papers on Red-cockaded Woodpeckers. For more information, visit http://bradybeckphotography.com. Ryan Book began playing guitar at the age of 12. Throughout his late teens and early twenties he spent his time touring with various blues, rock, christian and country bands. At the age of 20, he began studying classical guitar with internationally renowned classical guitarist and pedagogue Robert Trent. 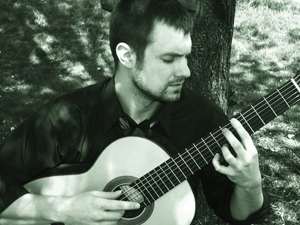 He received his Master of Arts degree in classical guitar performance and pedagogy from Radford University in 2009. It was in these years at Radford that Ryan had the opportunity to study with some of the world's most acclaimed performers including Jorge Caballero, Carlo Barone, and Paul O'dette. Recent opportunities have included performances with the Greenbriar Valley Community Choir, The RU Guitar Quartet, and various solo performances throughout West Virginia and the East Coast. Ryan was recently appointed music instructor at Sandhills Community College where he teaches history, theory, guitar and bass full-time. Mention gospel music to Rod Brower, the director of Together-N-Unity Choir, and joy sweeps across his face. "Gospel music is for me a source of inner strength," Brower says. "When I sing, it gives me hope, and it takes me to another place outside the earthly realm." Together-N-Unity has few peers in the Sandhills, with their inspired renderings of traditional African American spirituals. They are a leading representative of the region's ongoing tradition of gospel music, based out of the 130 year old Fletcher Chapel United Methodist Church in Hoffman, NC. This well known community-based group includes members of various religious denominations from Cumberland, Moore and Richmond counties. The formation of this musical group was the result of a Rod Brower's vision to form a small, yet versatile group to travel and spread God's message of hope and love through song. In the early and mid-1990s, Rod Brower and his aggregation of singers (formally The W.E. McLeod Ensemble) were featured guest performers at the All People's Gala as part of the Atlanta Martin Luther King commemoration events, and for several years they participated in the annual MLK March and State of the Dream Speech at historic Ebenezer Baptist Church. Frank Hunter was born in El Paso, Texas, and grew up in the desert Southwest. He has an M.A. in communications from the University of Colorado and an M.F.A. in photography from Ohio University, where he was the John Cady Graduate Fellow in Fine Art. 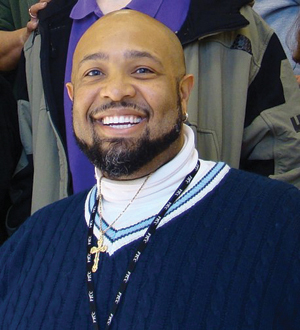 Hunter has taught at the university level for more than twenty years. His interest in photographic process includes the technical process of exposure and development as well as the psychological and spiritual aspects of creating photographic work. Hunter is best known for his landscape photographs done in the nineteenth-century process known as platinum/palladium. His recent work includes a commission done for the Federal Reserve Bank documenting Midtown Atlanta at the turn of the millennium, which was shown at the High Museum in Atlanta in 2003. His work is represented in a number of public and private collections, including the Speed Museum, the Denver Museum of Art, the High Museum, the Houston Museum of Fine Arts, and the collection of Sir Elton John. The artist currently lives in North Carolina, where he teaches photography at Duke University. For more information, visit www.frank-hunter.com. Diana Turner-Forte is an independent Teaching Artist. Her professional dance career spans over forty years and includes performing with the Chicago Ballet, San Diego Ballet, Des Moines Ballet, Ballet Met Columbus and Taller Coreografico de la UNAM in Mexico City. Ms. Turner-Forte also has an extensive background in arts administration at both the regional (Greater Columbus Arts Council) and state (Ohio Arts Council as Education Director) levels. She holds both a BA and MA in Dance with certifications in several areas related to movement and brain-body awareness. Additionally, she holds memberships in the Royal Academy of Dance, the National Dance Education Organization and the National Registry of Dance Educators. 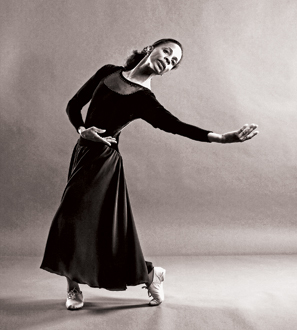 Ms. Turner-Forte is the author of Letters to Amelia published by Vantage Press, she has been featured in Muse & Spirit, a publication of the Center for Faith and the Arts and has been recognized with awards and grants for her outstanding contributions to the field of dance, including a 2009 Piney Award for Excellence in Dance. 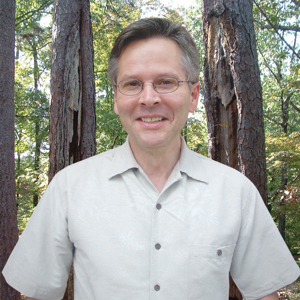 Ray Owen is a graphic artist, writer and historian who lives in Southern Pines, NC. His interest is telling stories that connect us with our past and the cultural landscapes we create. A past president of the Moore County Historical Association, he has been as a lender, guest lecturer and curator for museums locally and statewide. Among his projects was a two-year study of regional craftsmanship, and publishing his findings in the booklet Plain-Style: The Work of 18th and 19th Century Craftsmanship in Moore County, NC, for which he received an award of special recognition by the NC Society of Historians in 1994. Curation projects include the first exhibition for the North Carolina Pottery Center, A Different Turn, and the Bluethantal Exhibit of Jugtown Pottery for the Greensboro Historical Museum. In 2010, he produced and directed the cultural theater Greeting the Train as part of the inaugural Palustris Festival. Owen serves on the board of Friends of Weymouth, and has been a contributing writer for O. Henry and PineStraw magazines. 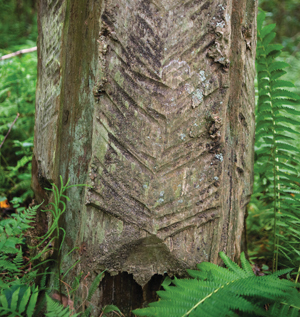 For more information read Ray's interview with The Cultural Landscape Foundation. Caroline Young is a photographer, artist and avid horsewoman. Originally from Greenville, SC, she has lived in Southern Pines for 18 years. 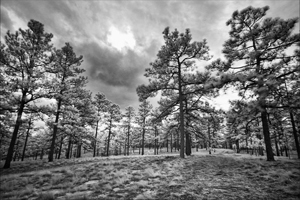 Caroline has taken numerous workshops at the Santa Fe Photography Workshops, in addition to studying with Jeffrey Mims at the Academy of Classical Design and with Denise Drum Baker at Sandhills Community College. 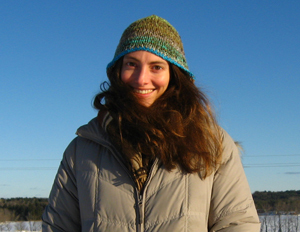 Her interests include cultural and environmental preservation, as well as community outreach. She is actively involved in the Sandhills/Moore Coalition for Human Care, the Boys and Girls Club of the Sandhills and The Walthour-Moss Foundation. The mother of two children, she resides on a farm in Vass with her husband, Wade. Bleeding Pines of Turpentine was created by the Longleaf Cultural Theater Ensemble: Brady Beck, Ryan Book, Rod Brower, Abigail Dowd, Ray Owen and Diana Turner-Forte. Other artists & scholars associated with performances & documentation include DanceFusion, the resident dance company of the Carolina Performing Arts Center, violinist Emily Braun, historian Earl Ijames, cellist Chase Johnson, George Kingsnorth/Gullion Media Limited, Perry Davis/Davis Video Productions, drummer Eoin Rogers, piper Kevin Rogers, St. Andrews Presbyterian Pipe Band, historic landscape researcher Glenn Stach, and Wake & District Public Safety Pipes and Drums. Copyright © 2012 Bleeding Pines of Turpentine. All rights reserved.